Photographic Illustrators Corp. v. Orgill, Inc. et al. (14-cv-11818). Photographic Illustrators, a company working in commercial photography, accused Orgill of infringing a number of Photographic Illustrators’ copyrights in photographs of Osram Sylvania lighting products. Orsram has a license to the photographs; PI asserts that Orgill, an Osram distributor, is not covered by that license. 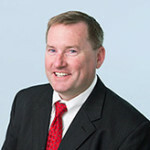 Orgill was granted summary judgment on PI’s DMCA and Lanham Act claims in 2015, but Orgill’s motion with respect to the copyright infringement claim was denied. Following an arbitration involving PI and Osram, Orgill again moved for summary judgment on the copyright claim, asserting that they were sublicensed under the Osram license and that that arbitration award precludes the copyright claim. PI cross-moved for summary judgment that there was no sublicense or that Orgill’s use fell outside of the purported sublicense. Orgill asserted that it had impliedly been sublicensed by Osram, which was confirmed in a nunc pro tunc 2014 sublicense. In her 2015 decision, Judge Saris found that PI had provided sufficient evidence that Orgill had sublicensed the photographs to Orgill’s dealers for a fee, which was not permitted under PI’s license with Osram, and without the attribution required by the PI/Osram agreement. Subsequently, the arbitrator found that the no-fee provision and the attribution provision were merely covenants enforceable via contract law, rather than conditions on Osram’s license. In her decision of last week, Judge Saris determined that Osram had granted Orgill an unwritten sublicense, through its course of conduct in giving Orgill images to promote Osram products since 1998 and in never objecting to Orgill’s use of the images. She further found that an implied sublicense could legally be granted. PI had asserted that an implied copyright license could not be granted by a licensee to a sublicensee who has no direct contact with the copyright holder; looking to the totality of the circumstances to determine that the parties intended Orgill to be licensed, specifically that PI intended to permit Osram to sublicense the photographs and that Osram intended that Orgill be licensed to use the images. The arbitration decision effectively precluded PI from arguing that Orgill exceeded the scope of this implied sublicense, because the relevant terms of PI’s license with Osram did not condition sublicenses Osram could make. She further found that the confirmatory sublicense, which included language requiring attribution where feasible, but further stated that this requirement was “[w]ithout effect on the rights of Orgill… to Use the Images as granted…” This quoted language meant that the attribution requirement was not a condition which must be met to form the sublicense, but again merely a contractual obligation. Accordingly, use by Orgill of photographs lacking attribution cannot be the basis for the copyright infringement claim. Judge Saris further addressed PI’s argument that it had not licensed “approval” images to Osram, such that Orgill could not have been sublicensed with respect to those images. These “approval” images were rough photographs sent to Osram for approval before being retouched and refined into he final photographs by PI. While the issue of whether these images were licensed was not affirmatively determined by the arbitrator, Judge Saris determined that PI had not disclosed this infringement theory during discovery, and precluded PI from pursuing this theory under FRCP 37(c)(1). Accordingly, she granted Orgill’s motion for summary judgment. Author dmassiplitigationPosted on April 8, 2019 Categories Copyright, License, Saris, Summary JudgmentLeave a comment on Photographic Illustrators Corp. v. Orgill, Inc. et al. (14-cv-11818). Bravado International Group Merchandising Services, Inc. v. Does et al. (19-cv-10455). Bravado is a merchandising company that has exclusive rights to sell products bearing the federally registered ARIANNA GRANDE mark, a logo for which registration is pending, and/or Grande’s name and likeness. Bravado brought this suit in advance of Grande’s upcoming performance at the TD Garden in Boston to prevent bootleggers from offering infringing merchandise in or around the arena, and to obtain an order for authorities to seize and impound any such merchandise. As with other such pre-emptive suits, Judge Zobel is assigned to this matter. Author dmassiplitigationPosted on March 13, 2019 Categories Complaint, Copyright, ZobelLeave a comment on Bravado International Group Merchandising Services, Inc. v. Does et al. (19-cv-10455). Channing Bete Co., Inc. v. Breenberg (29-cv-30032). Channing Bete filed suit against Dr. Mark Greenberg for trademark infringement, tortious interference with business relations, and violations of non-compete and non-disclosure agreements. Dr. Greenberg jointly developed a curriculum for the social and emotional development of children, known as the “PATHS® Program,” in 1993. This curriculum was exclusively licensed to Channing Bete predecessor Developmental Research Programs, Inc., who registered the PATHS® trademark in 1995. Dr. Greenberg continued to develop the program, resulting in a “PATHS® Preschool/Kindergarten Program,” and jointly registered copyright in these developments. Channing Bete obtained exclusive rights to this program as well, and has since worked with Dr. Greenberg and the other authors to develop additional program-based materials to cover elementary-school children. Channing Bete partnered with a training organization run by Dr. Greenberg, “PATHS® Education Worldwide (PEW), to train purchasers of the PATHS® programs, and licensed PEW certain rights in the programs. In the summer of 2014, Channing Bete decided to sell its rights in the PATHS® programs. They allege that Dr. Greenberg immediately began to interfere with its efforts to sell. According to the complaint, this interference led to the major large publishers refusing to consider a purchase. Channing Bete subsequently put the program out for bid, requiring non-disclosure agreements from any bidder. PEW placed a bid and executed an NDA, as did Dr. Greenberg personally. Channing Bete subsequently notified Dr. Greenberg that they had selected a different buyer, who would need to coordinate with Dr. Greenberg and the other authors. Dr. Greenberg was reminded of his non-disclosure obligations in this communication. The complaint alleges that Dr. Greenberg threatened to withhold assent to the transfer of the curriculum unless he received concessions for himself and PEW. It further alleges that Dr. Greenberg directly contacted the buyer on multiple occasions, indicating again that he intended to block the sale unless he received concessions and revealing the contents of his communications with Channing Bete, in violation of the NDA he had signed. Channing Bete then received an offer from a different party, seeking to buy the curriculum at the same terms offered by PEW. Channing Bete subsequently received communications from other authors of curriculum materials, each threatening to withhold consent to the sale, that Channing Bete alleges to have been orchestrated by Dr. Greenberg. Finally, Dr. Greenberg has published books laying out “PATHS Plus” that he has marketed as an alternative to the PATHS® program, allegedly in violation of non-compete language contained in his original exclusive license to Channing Bete. Author dmassiplitigationPosted on March 11, 2019 Categories Complaint, Contract, Copyright, noncompetition, TrademarkLeave a comment on Channing Bete Co., Inc. v. Breenberg (29-cv-30032). Larson v. Perry et al. (19-cv-10203). Sonya Larson filed suit against Dawn Dorland Perry, Los Angeles-based Cohen Business Law Group, and attorney Jeffrey A. Cohen, seeking a declaration that a short story published by Larson does not infringe the copyright of a letter posted by Dorland Perry on Facebook. Dorland Perry donated a kidney to an anonymous recipient in 2015, and subsequently wrote a letter to the unknown recipient outlining the reasons for her donation and expressing interest in meeting the recipient. She posted the letter to a private forum on Facebook that included Larson. Larson, who acknowledges having had a nominal social relationship with Dorland Perry in the past, asserts she was included in the forum without her permission or authority and that she had seen Dorland Perry’s letter. Three years later, Dorland Perry registered her copyright in the letter. Larson authored a short story about a working class Chinese-American woman who receives a kidney from a wealthy white woman, with a primary goal of depicting a “person of color resisting a white savior narrative,” in which the recipient receives a letter from the previously-anonymous donor. Larson states that in preparing this portion of her story, she researched and viewed many websites and similar letters from organ donors that were widely available on the internet. After a public reading of a portion of her story was reported to Dorland Perry, Larson alleges that Dorland Perry believed the story to be about her and became very upset. In subsequent edits, Larson made changes to the story to distinguish the fictional letter from Dorland Perry’s actual letter. The story was subsequently published in audio book format and accepted for printed publication, at which point Dorland Perry is alleged to have instituted a smear campaign against Larson and repeatedly accused her of plagiarism to Larson’s employer, members of her writing group, various writing organizations, and the Boston Globe newspaper. Larson was moved to file the action when Attorney Cohen, representing Dorland Perry, sent a demand to her publisher that they case and desist from further printings of the story, and the acceptance for publication was rescinded. Larson’s claims against Cohen and his firm are based in part on their threat of statutory damages and attorney’s fees against her publisher, which Larson asserts Cohen knew or should have known were not legally viable, as registration occurred more than three years after Dorland Perry’s letter was first published. Larson also asserts tortious interference with contractual relationships, defamation, and violation of Ch. 93A. Author dmassiplitigationPosted on January 31, 2019 Categories Complaint, Copyright, Declaratory Judgment, Unfair business practiceLeave a comment on Larson v. Perry et al. (19-cv-10203).